.. we have been talking for a while about adding some chickens to our family, we have researched them and have spoken to some local people who keep chickens themselves. Our vision for keeping the chickens went something along the lines of dancing out to the hutch every morning with a straw basket in hand and plucking fresh free range eggs from the nesting boxes, scattering handfuls of chicken feed around the garden for them to graze upon during their day and having them come running to the children for a pet and a cuddle… we are 3 days in and its nothing like that ha! 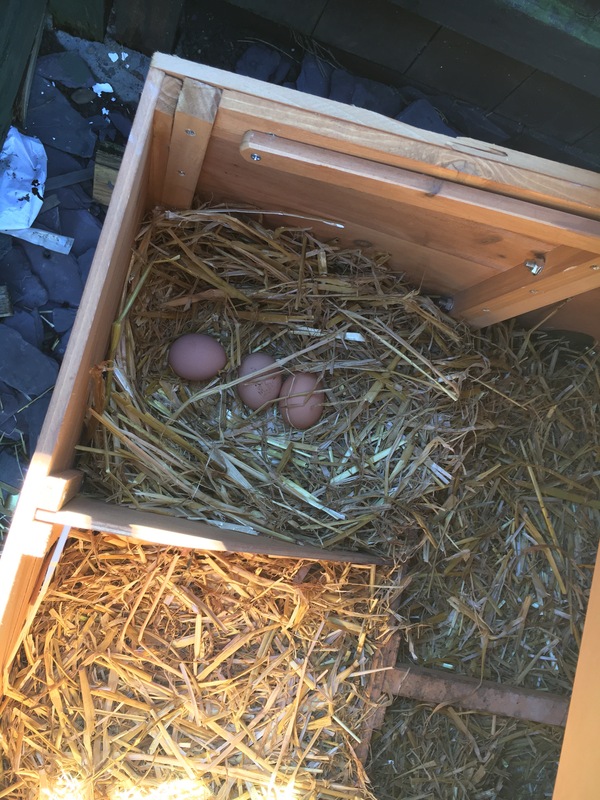 We purchased the Coop from eBay for £89.99 + £1.99 delivery, it came flat packed and really was simple to put together, we purchased all the straw from a local company who delivers to your door. The chickens we purchased from Durham Hens who had been recommended to us by one of Trevor’s friends. On the drive over we discovered that the sat nav isn’t always right after it literally tried to take us across the country, we ended up down a really tight lane that ended up impassable, It felt more of a quest from The Lord of The Rings than chicken picking but we had a laugh once we’d managed to turn the car around and find the correct path. 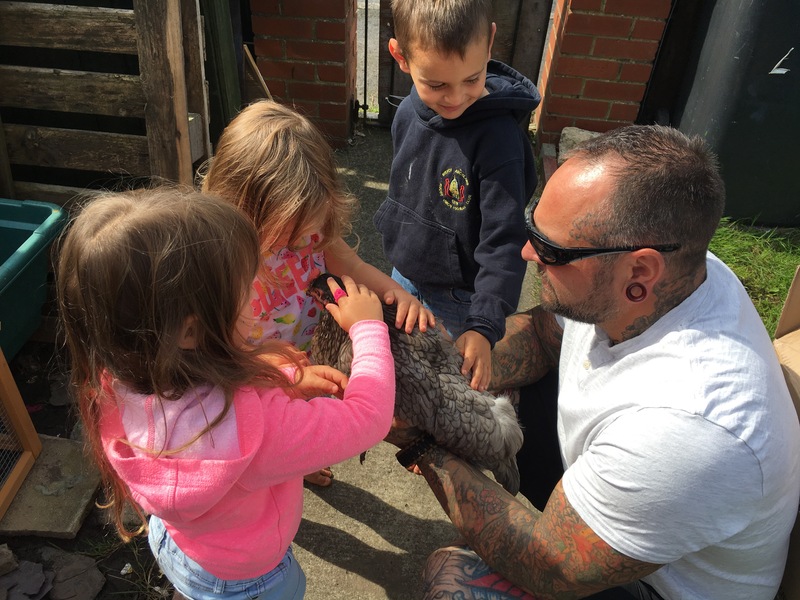 The children picked and named their own hen and settled them in to their new house, we didn’t expect any eggs for a while, the hens are 22 weeks and we were told they would be ready to lay any day but it can take a few days for them to settle into new surroundings. Trevor only managed one hour of leaving them in their new house before he went and peeked, he was so excited to see they had laid 2 eggs, I’m not sure now who we brought them for! 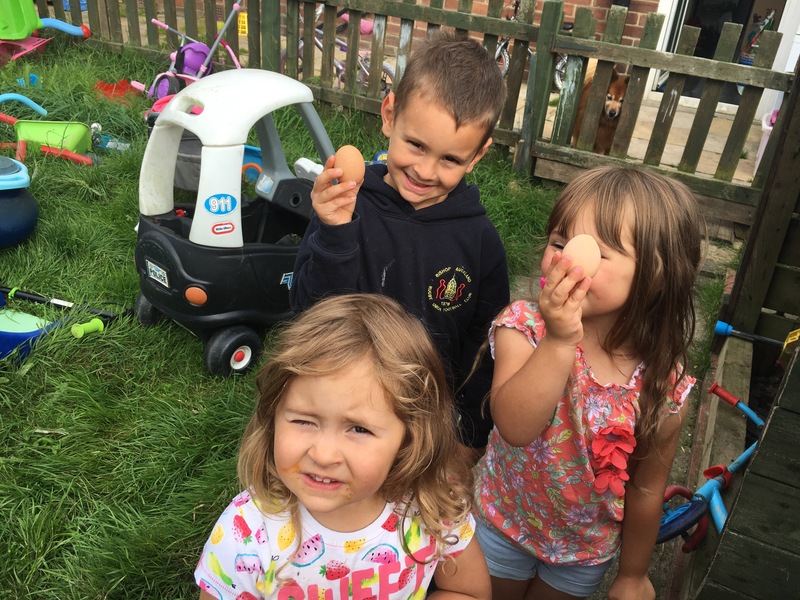 Watch our chicken escapades so far, from coop building to egg collecting.